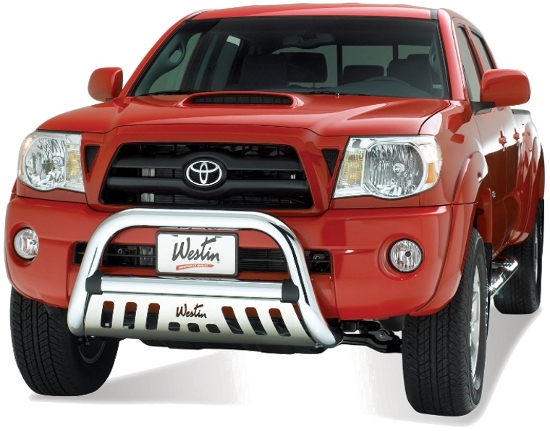 The Westin Ultimate Bull Bar is a front-end light bar available for trucks and SUVs. Product application is vehicle specific and comes complete with mounting kit. The Westin Ultimate Bull Bar features black molded caps on the crossbar welds for a finished and clean look. 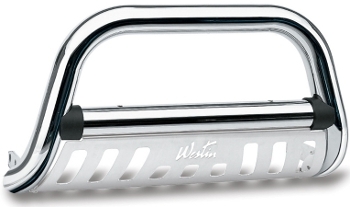 It features a stainless steel skid plate with a laser-cut Westin signature logo on it.